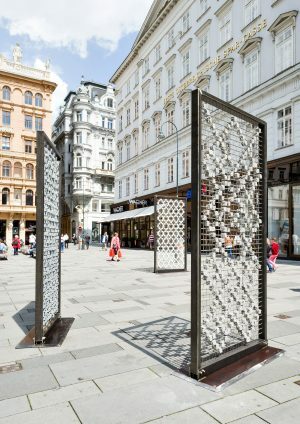 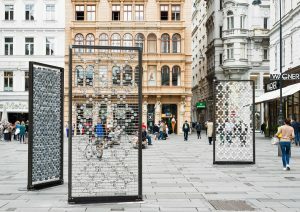 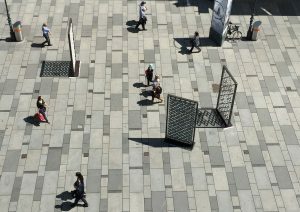 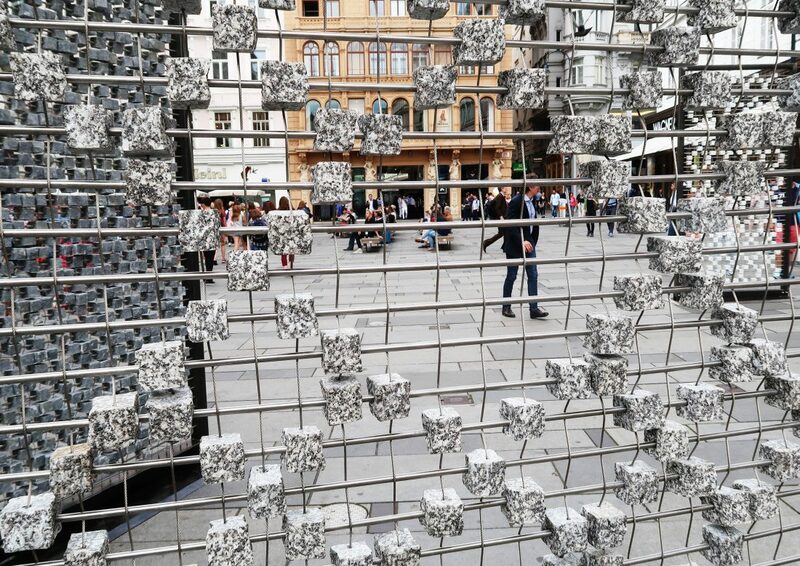 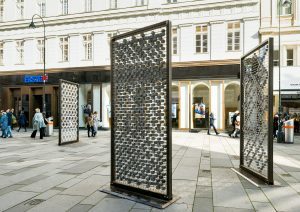 Screen I–III, Nevin Aladağ’s intervention on Vienna’s Graben, temporarily lays claim to, and thus defines and defies a bustling urban place. 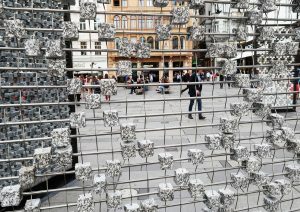 Three screens obstruct and disguise the commotion of the inner city and, with their stony presence, adorn the promenade like tapestries. 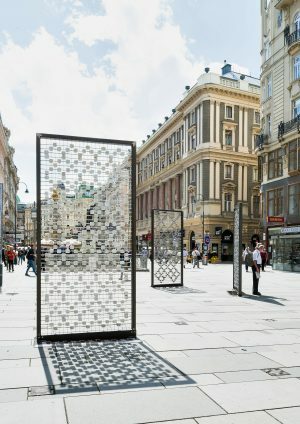 Marking the boundaries of a space, drawing contours and axes within a field of movement regulated by shop windows and urban furniture, and mapping a place of engagement, the screens evade the everyday protocols. Cobblestones of Rauris marble and Waldviertel granite are inlaid and arranged in different ornamental configurations that keep both the pattern and the material in precarious suspense. Carefully selected to fit in with the pavement of Vienna’s city center, the stones quietly carry cultural-historical connotations, beckoning to their alternative uses as missiles, construction material for barricades, and proletarian weapons. 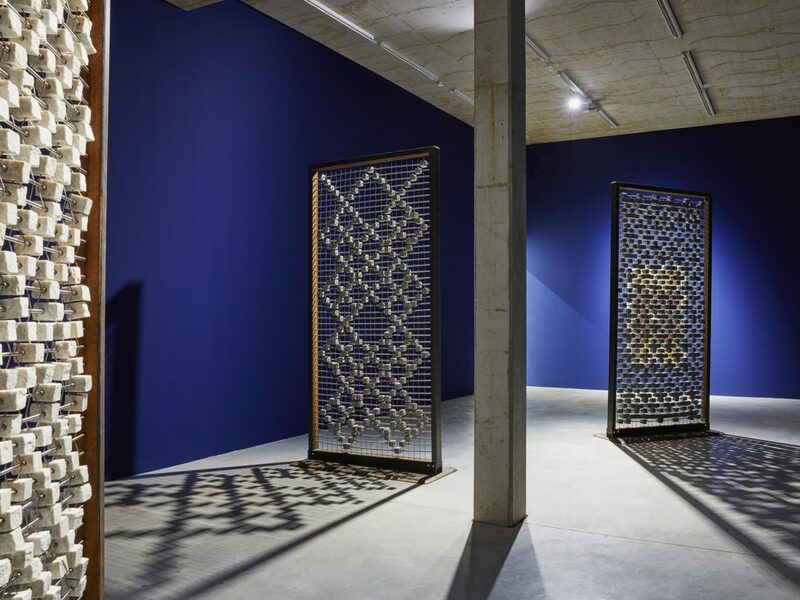 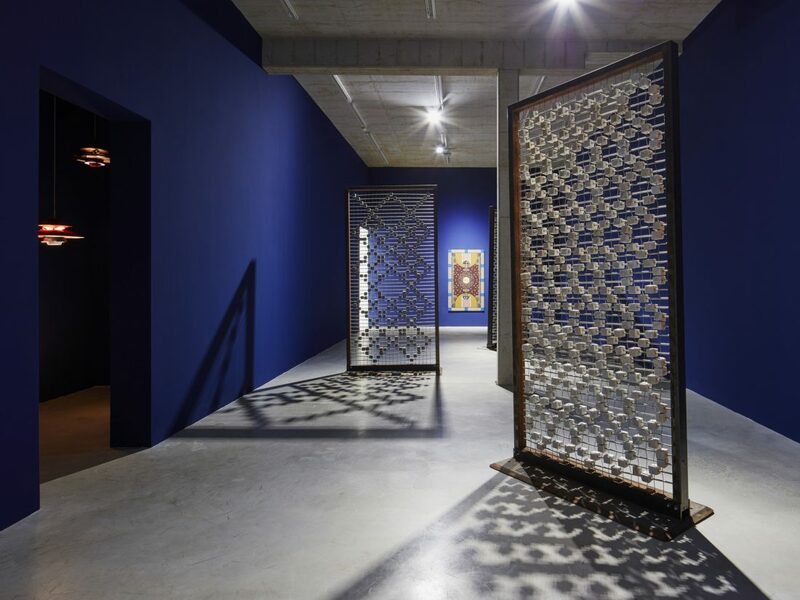 Disentangling the architectonic elements of the screen and the stone block from their familiar functions, Aladağ releases hidden narratives and opens up spaces which stimulate action and engagements and turn into dispositives of story-telling.